iPhones come with many useful features that run in the background. User accessible of course, but since most user don’t know where to find these advanced features they would probably take them as ‘hidden features’ while they are actually not. However, Wi-Fi assist is one such feature that allows an iPhone to establish the most stable Wi-Fi connection by finding the best Wi-Fi coverage from around the user, and move to mobile data if no stable Wi-Fi connectivity is found around. For internet savvy users, this feature is very useful but there’s some drawbacks too. 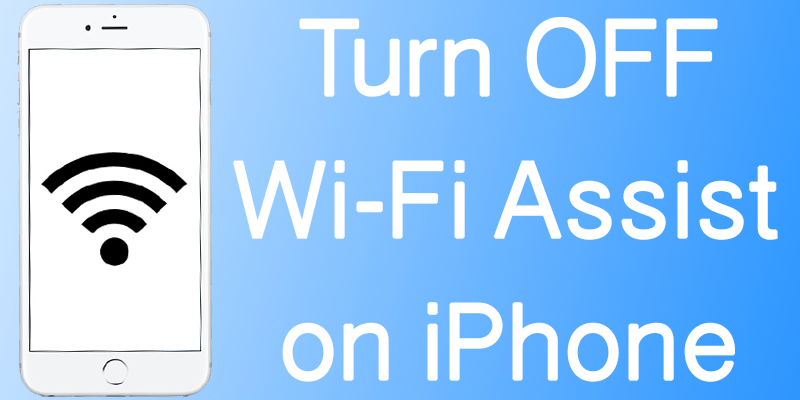 Why You Should Disable Wi-Fi Assist on iPhone & iPad? In regular cases Wi-Fi assist should be turned on since it enhances the internet surfing quality on an iOS device. However, if you are concerned about your mobile data usage and monthly billing, then turning it off would help you manage your billings better. Wi-Fi Assist could turn on mobile data even when you don’t need, and if you don’t have a data plan purchased from the mobile operator then it could incur a huge sum of bill. 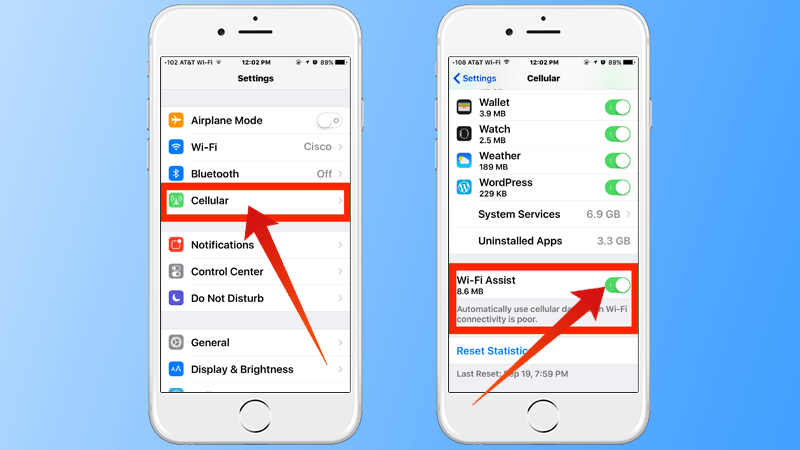 Rad on to know how to disable Wi-Fi Assist on iPhone easily. Note that, it’s a matter of personal preference. And even with Wi-Fi assist on, there shouldn’t be many times that Wi-Fi would switch over to mobile data. Think of practical aspects, how many times in a day your Wi-Fi coverage gets poorer than your mobile data signal coverage? Apparently, not even a single time. Maybe yes in some public places like shopping malls or libraries where a lot of people use the same Wi-Fi, the coverage could drop there but in households or offices this may not even be the case. Launch the Settings app from home screen on your iPhone. On the latest iOS version, you should see a cellular option in the top side inside Settings. However, some devices might have a ‘Mobile’ section instead of ‘Cellular’. Keep scrolling towards the bottom inside ‘Cellular’ and you should find the Wi-Fi assist toggle switch there. Tapping on the button would turn the switch on or off, just like any other regular iPhone switch. You have successfully disabled Wi-Fi Assist in your iPhone. You don’t care your mobile bill. You don’t have a poor Wi-Fi coverage. You have a monthly data plan purchased. Since Wi-Fi Assist only activates mobile data when your Wi-Fi coverage drops to a lowest extreme point, you won’t need this feature while you’re at good Wi-Fi coverage. And having a comprehensive mobile data plan renders turning off Wi-Fi Assist useless. Conclusion: We would recommend and iPhone user to keep the Wi-Fi Assist features turned on. However, depending on the facts we have presented above, you could turn off the feature through the guidelines we have mentioned.